Pros: Apple-like aesthetics. Charging case provides multiple charges. Bargain price. Bottom Line: The Air Buds wireless Bluetooth earbuds offer an attractive design, decent audio, and solid battery life for a very small fraction of the Apple AirPod's price. The trend in technology is to make things smaller and more powerful. We’ve seen this in desktop computers, laptops, and smartphones. 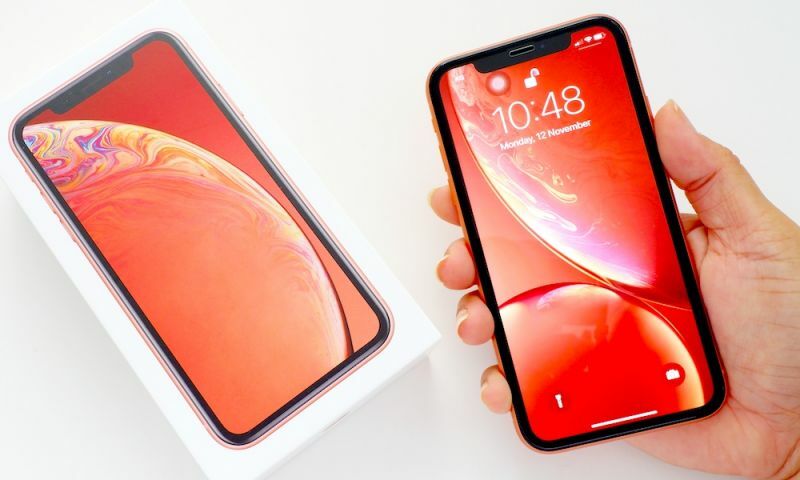 However, smartphones are pretty small, to begin with, and so there aren’t many ways to make smartphones any smaller unless we remove things we hold dear, namely the venerable 3.5mm headphone jack. Apple was the first to spearhead this effort, which was met with a mixed response. 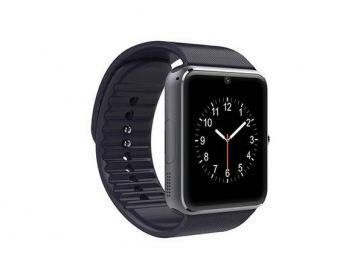 But its decision has undeniably brought greater attention to wireless Bluetooth headphones. These have existed for ages, but as more smartphone vendors do away with the headphone jack, more consumers are quickly adopting them. 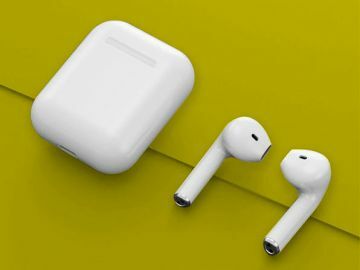 Apple’s solution is the AirPods: a pair of sleek, understated earbuds that mimic the iconic EarPods aesthetic. The problem (as with most Apple products), is the steep asking price of $159. Enter the Air Buds Wireless Bluetooth Earbuds, a minimalist pair of earbuds which feel right at home with the rest of your Apple devices — but before we shell out too much information, let’s take a quick product tour. The Air Buds come with sleek, minimalist packaging. It’s a simple box featuring a depiction of the Air Buds and their charging case. On the left and back of the box, you’ll find some highlights of the Air Bud’s features, such as the 3-4 hour play time and the built-in microphone. Inside the package, you’ll see the charging case, which is carrying the Air Buds upon arrival. Additionally, you’ll find a micro-USB charging port for the charging case, another charging cable for the Air Buds, and a quick start manual, which illustrates more of the Air Bud’s features, the Bluetooth syncing process, and how to use the multi-function buttons. The Air Buds’ charging case is small and constructed out of glossy plastic, which easily fits in the palm of your hand. On the front of the case, you’ll find a power button and a light indicator, which shines blue when the charging case is on. On the back, you’ll find a micro-USB port, which is used to charge the carrying case. The case has a battery capacity of 600 mAh, which can be used to charge the Air Buds several times. More on that in a bit. Flipping open the top cover of the charging case reveals two ports for each of the Air Buds. When the charging case is on, the Air Buds will glow red, indicating their charging status; they will stop glowing red when fully charged. 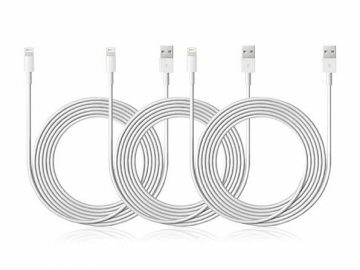 As you can see, they feature a sleek and minimalist aesthetic which easily complements Apple devices. The ear tips include a dust-proof mesh which allows sound to resonate throughout the Air Buds while preventing debris from entering. Each Air Bud has a shaft which contains a built-in microphone, a multi-function button, and a charging port on the bottom. They each contain a 50 mAh battery, which provides 3-4 hours of play time when used individually or 2-3 hours of play time when used together. When paired with the charging case, the manufacturer suggests that the Air Buds can last an extra 10 charges, which is more than a full day’s worth of uninterrupted play time. However, you’ll need to wait 1.5 hours in between charges for the Air Buds to reach full capacity again. Each Air Bud contains an HD stereo sound chip to drive the audio, which we’ll explore more later. But most importantly, in comparison to the Apple AirPods, they come at an ultra-affordable price of $29.99. 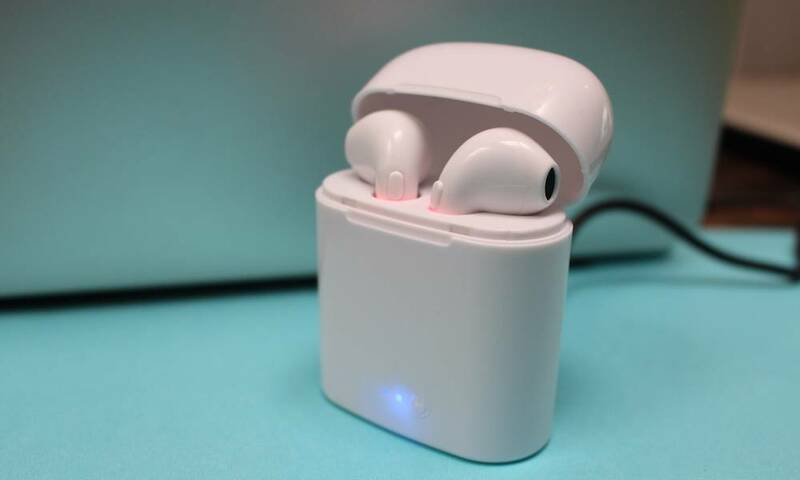 The Air Buds wireless Bluetooth earbuds offer an attractive design, decent audio, and solid battery life for a very small fraction of the Apple AirPod’s price. Charging case provides multiple charges. Built-in microphones for taking calls wirelessly. To get a feel for the Air Buds, we put them through several benchmarks: the pairing process, playback and audio, a full battery cycle, and several albums. The Air Buds pair with your device via Bluetooth 4.2 technology. To do this, you’ll need to enable Bluetooth on your device. Press and hold the multi-function buttons on each Air Bud until they begin flashing red and blue. When the Air Buds are paired, one side will stop flashing red while the other side will play a “Connected” voice prompt. From here, choose to connect to the Air Buds through your device, and you’re all set! We found the initial pairing process to take no longer than 15 seconds. Once your Air Buds pass the initial pairing, subsequent pairings will be easy and usually take about 5 seconds. If you find that one or both of your Air Buds aren’t connecting, make sure you’re a good distance away from your router or other wireless devices that can interfere with the pairing process. Once paired, you can listen to and control your audio through your Air Buds. Pressing on either of the multi-function buttons once will pause and/or play your music, while pressing and holding one button skips to the next track. Pressing and holding both buttons powers them off. Additionally, the Air Buds will power off automatically if they don’t detect a Bluetooth device within 5 minutes. When making and receiving calls, only one of the Air Buds will stream the call’s audio. This is due to the fact that it’s illegal in most states like California to have earbuds in both ears while driving or biking. When receiving a call, the incoming caller’s number will be announced on the single operating Air Bud. You can answer calls by pressing the multi-function button once or reject them by double pressing. Additionally, you can redial your last outgoing number by pressing the button twice while in music mode. Receiving, rejecting, and redialing with the multi-function buttons was easy. The Air Buds claim to have 3-4 hours of play time per earpiece or 2-3 hours in unison. To put this to the test, we drained one Air Bud’s battery individually and then used both Air Buds in unison from a full charge. A single Air Bud backs up the 3-4 hour claim easily, providing about 3 hours and 25 minutes of playtime before powering down. However, two fully charged Air Buds used in unison just passed the rated play time, lasting about 2 hours and 5 minutes. The portable charging case is what makes up for the limited play time. It contains a 600 mAh battery, which claims to provide up to 10 additional charges for the Air Buds. We tested the charging case by draining the battery on both Air Buds and then recharging them using the case until the case ran out of power. Typically, the charge period lasts for about 1.5 hours. From a full charge, the charging case provides both Air Buds with about 5 and a half full charges before running out of juice. Ten charges are certainly possible, but only if you’re using a single Air Bud. Shoppers are most likely concerned with sound quality above all else, so we tested the Air Buds via three albums—The Dark Side of the Moon by Pink Floyd, Random Access Memories by Daft Punk, and My Beautiful Dark Twisted Fantasy by Kanye West—to see how well they hold up. The Air Buds provide decent sound quality, but you’ll have to turn up the volume a bit to hear the details in the audio. They produce decent bass and midrange audio, but the treble can be improved upon. Still, they’re solid for a set of $30 true wireless earbuds. For the price, it’s really difficult to complain. Quite a few people use earbuds while pounding away at work, so it’s only natural for us to test the Air Buds at the office. The Air Buds aren’t noise-cancelling, so you can still hear surrounding noises. If you’re hoping to drown out distracting noises, then the Air Buds aren’t for you as most people opt for over-ear headphones. If you’re hoping to remain alert to side conversations, they’re perfect. We found the 2 hour battery time to be a bit restrictive in terms of office use. When you clock in at nine in the morning and pop the Air Buds in, you’ll be left with another hour or so of work before you can take your lunch break. We suggest that you charge your Air Buds during your hour of downtime so your Air Buds will be fully charged for another music session when you get back from lunch. Using the Air Buds at home involves less stress and distractions than at work, so you’re likely to find they work great. Battery life can still be an issue if you plan on listening to them for more than 2 hours at a time. The Air Buds are shaped ergonomically to fit a wide variety of ears, and we didn’t have trouble with them falling out while reclining on a chair or while doing chores. They only fall out of your ears when lying down horizontally or doing fast-paced physical activities. Speaking of physical activities, there’s no better place to test the Air Buds than in a gym environment. We tested the Air Buds during a particularly busy time, rife with fellow gym-goers with their own wireless earphones. Despite the increased wireless interference, the Air Buds didn’t exhibit any trouble pairing with our phones. On top of that, the 2 hours of playback were perfect for an entire workout session with 30 minutes of cardio. Like we mentioned earlier, the Air Buds can fall out of your ears when turned horizontal, so any exercises that require you to lie down or face horizontally—planks, bench presses, lying hamstring curls—will be problematic. The Air Buds are an excellent pair of wireless earbuds for those looking for Apple’s design philosophy without the “Apple tax.” They feature a sleek, minimalist design and a convenient charging case which provides nearly half a day’s worth of playback time. The Apple AirPods are over $100 more expensive, so if you’re looking for an economical set of wireless earbuds, then the Air Buds will be a more attractive solution. The Air Buds are currently on sale for 75% off. For the cost of Apple’s traditional wired EarPods and a fraction of the price of AirPods, the Air Buds are a tempting choice.